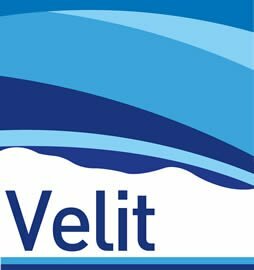 Velit uses an extensive library of industry-standard velocity modelling methods using well velocities or seismic processing velocities to build up a precise picture of the geological surfaces. It enables you to utilise a wide-ranging number of features to interrogate your data in many different ways, enhancing your operational efficiency, as well as your effective capability in producing a best technical case velocity model. 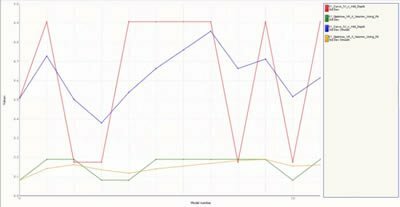 Depth conversion is an iterative pursuit, requiring you to try out a range of ideas to determine the best velocity modelling solution. Velit allows you to quickly see how different velocities and structural forms impact the depth of your targets. 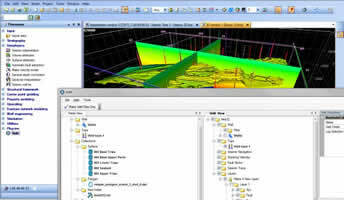 The new Velit Wizard forms an excellent introduction to depth conversion techniques and the capabilities of the software and covers most depth conversion scenarios, allowing the user to depth convert layer by layer quickly and assists the user in understanding the velocity modelling methods available. 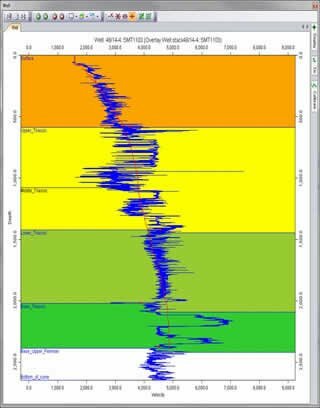 More complex depth conversions may still be performed using easy to use, extensive workflow system enabling fast data analysis and constrained, randomised multiple realisations for modelling depth uncertainty or extensive reservoir modelling that can produce a range of surface depth conversion results, all of which are valid and tie the well formation tops. Multiple realisations of depth and prospect volumetrics can be used to produce a probability distribution of proven, probable and possible reserves (P10/P50/P90). 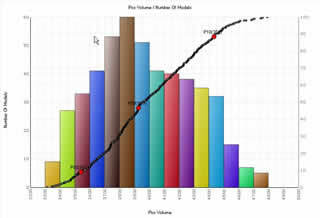 Velit is branded as VelPAK within the IHS Markit Kingdom software. 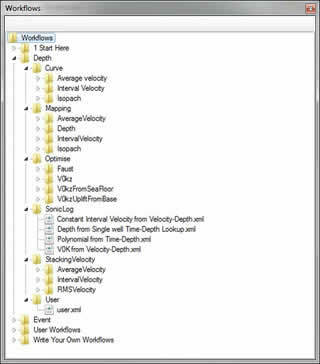 Functionality between Velit and VelPAK models are identical and projects generated in one can be viewed in the other and vice versa. 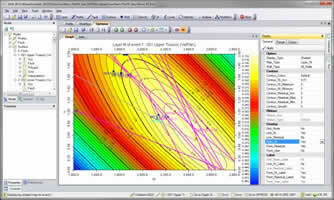 Velit 1.9 contains a large number of enhancements that enable the user to derive their best depth conversion techniques and uncertainty analysis as efficiently as possible. New features allow automated cross-validation of methods and better visualisation of velocity functions. The uncertainty analysis tools allow your best case depth conversion model to be randomised within known constraints to derive a range of probable realisations. Ranges may now be provided in the Wizard as you derive the depth conversion method for each layer in the model. Constraints for volumetric computations may now be entered in the Wizard interface, and displays for animation configured as you build the model. Once the best case model is defined, a multi-realisation workflow may be generated at the click of a button. The workflow may then be run in the Workflow module with the usual batch functions. 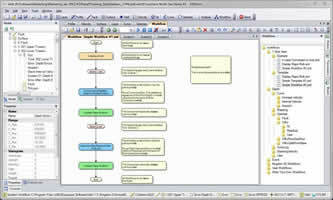 Workflows derived using this method also run significantly faster than the pre-built workflows. For each realisation, crest and spill points may now be posted on the Surface map and are saved in the model for further analysis. Area of accumulation & mean thickness are now also recorded. Volumetrics & options to save grids and images to file have been added to the Wizard. Many depth conversion methods are reliant on well velocities, either in the form of sonic, check shot or apparent interval velocities. 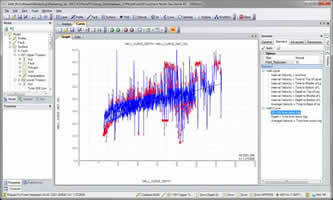 The Combinations tools, driven from the Wizard module, allow you to assess the stability of these methods with varying number of wells using a “leave P-out” cross-validation scheme. Such information can aid increasing confidence in your selected depth conversion techniques, or indicate where further analysis might be required. 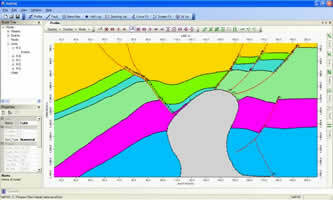 You can preview the layers in wells graphically prior to building the model, to save time locating absent or erroneously picked formation tops. 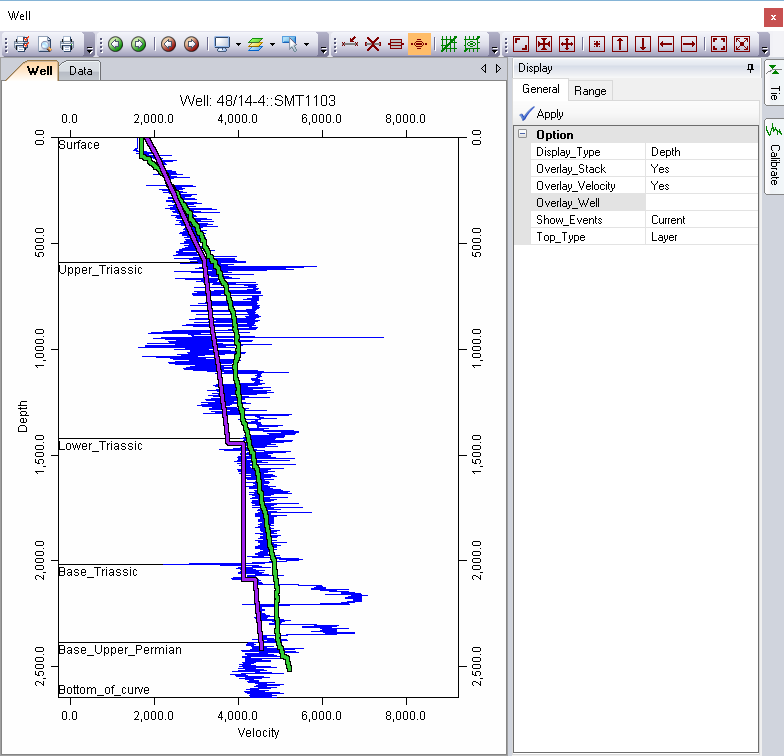 If you have good quality log data but no background velocity model, and dynamic background velocity model can be constructed from the well logs by means of robust regression, mean or median fit for each layer. The velocity functions determined for the model may now be plotted in the Well module (purple), enabling the user to quickly determine where the model is working and where it may require more attention. Pseudo-wells computed from seismic velocities may also be overlain (green), in addition to the current user-defined overlay well option. As you step through the wells, the corresponding pseudo-well is automatically updated. 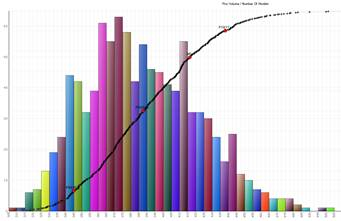 Models can consume a lot of disk space. You can now specify which content is saved in a new model using the new Save options on the Preferences tab. Please refer to our YouTube channel to see the latest training tutorials. Please subscribe to receive notifications as content is added. You can now use the Velit menu option Help > Explore to go directly to the written tutorial. Ties between depth grids and formation tops are now calculated automatically after depth conversion (no need to manually use Well > Tie > Apply each time).